In the experiments presented in this chapter, single classifier systems and ensembles are trained to detect the social meanings people perceive in facial morphology. Exploring machine models of people’s impressions of faces has value in the fields of social psychology and human-computer interaction. Our first concern in designing this study was developing a sound ground truth for this problem domain. We accomplished this by collecting a large number of faces that exhibited strong human consensus in a comprehensive set of trait categories. 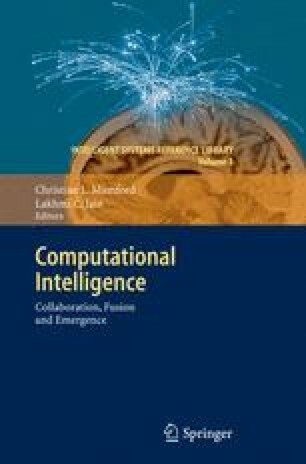 Several single classifier systems and ensemble systems composed of Levenberg-Marquardt neural networks using different methods of collaboration were then trained to match the human perception of the faces in the six trait dimensions of intelligence, maturity, warmth, sociality, dominance, and trustworthiness. Our results show that machine learning methods employing ensembles are as capable as most individual human beings are in their ability to predict the social impressions certain faces make on the average human observer. Single classifier systems did not match human performance as well as the ensembles did. Included in this chapter is a tutorial, suitable for the novice, on the single classifier systems and collaborative methods used in the experiments reported in the study.